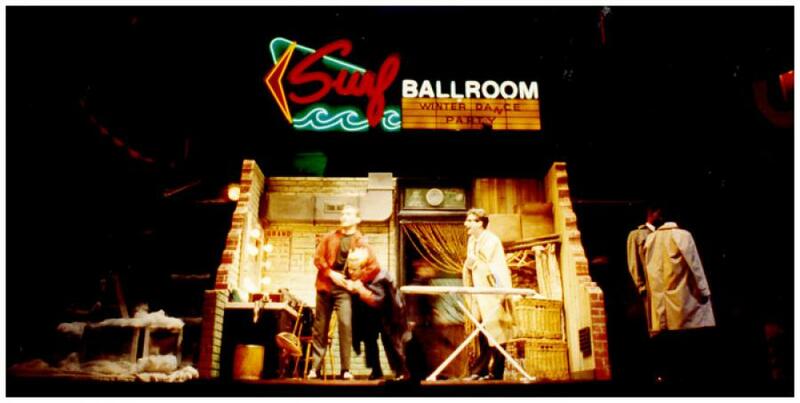 In 1988 I had designed what was essentially my first real show, a summer season variety show in my home town of Blackpool. 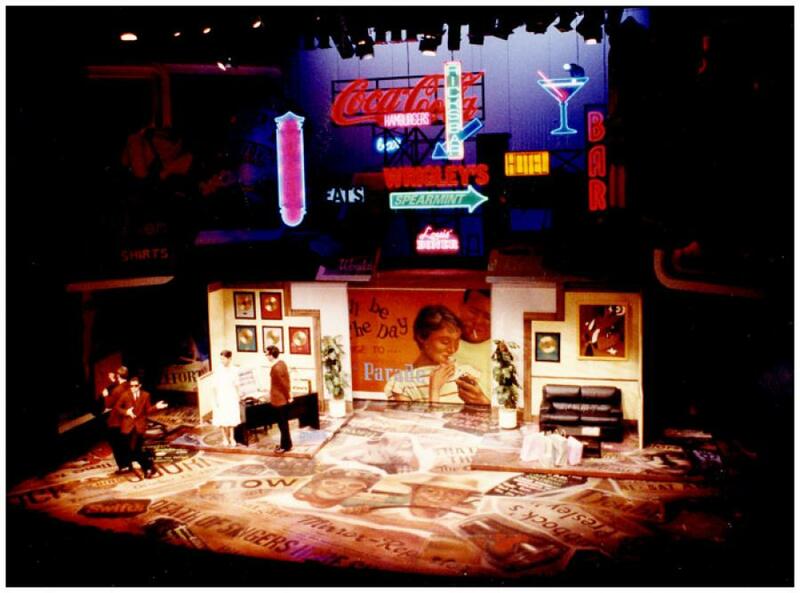 My set stood out from the crowd because it was the first Blackpool show to really utilize the style and look of a prime time TV show in a theater environment. London theater producer Paul Eliott had seen the show and sent me a letter.. " come and meet me in London in the next few weeks " I had absolutely no idea what Paul had in mind when I took the long train ride from Blackpool to London. I struggled across Waterloo bridge with my large heavy portfolio crammed with what was almost entirely student projects. After I had struggled up 5 flights of stairs I must have looked a sweaty red faced nervous wreck when I first shook Pauls hand. Amazingly I left that office with a script for BUDDY the Buddy Holly story. I was 21 years old. Was Paul crazy ? he had just given a kid one year out of college with just one professional show under his belt a major West End musical to design. I was in up to my neck and the pressure was on, I had to learn fast. 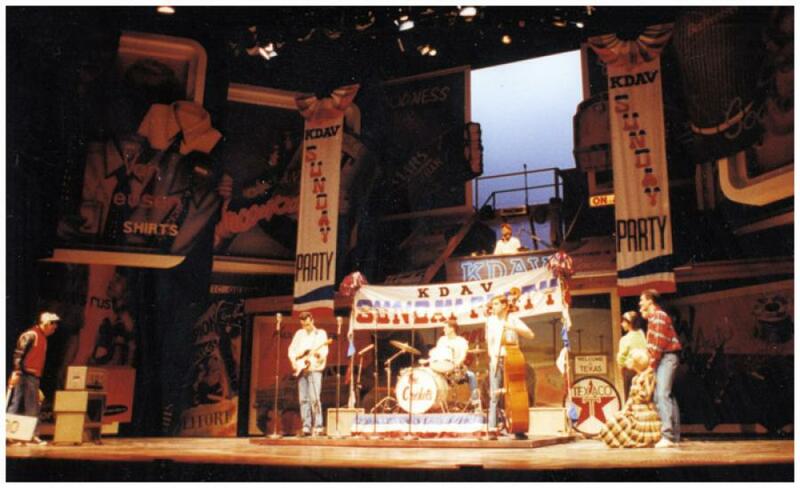 The show was the first ever bio rock and roll musical that tells the story of Buddy Holly's life which was tragically cut short. 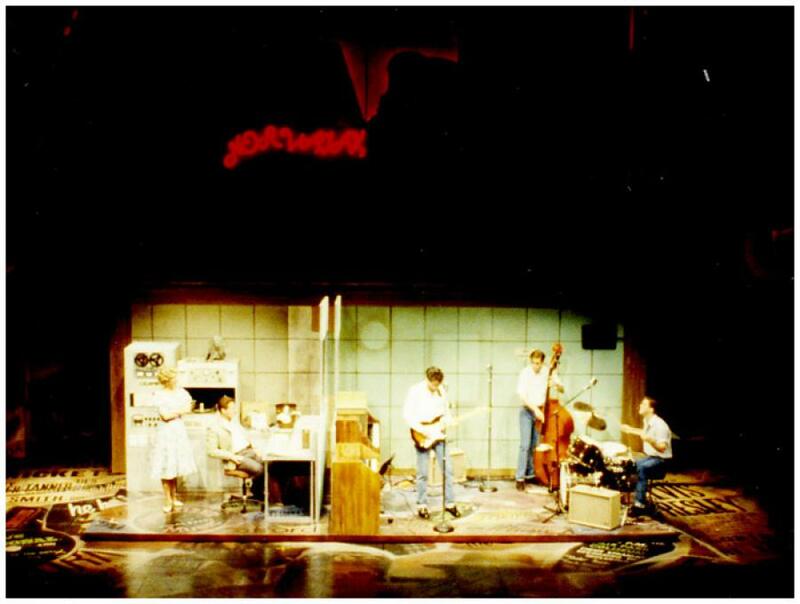 The show was essentially a series of short scenes very much presented as a play with of course Buddy's famous songs laced in between but it was the final 20 minutes of the show, a rip roaring recreation of Buddys final concert that made the show work, the audiences went nuts literally dancing in the aisles. 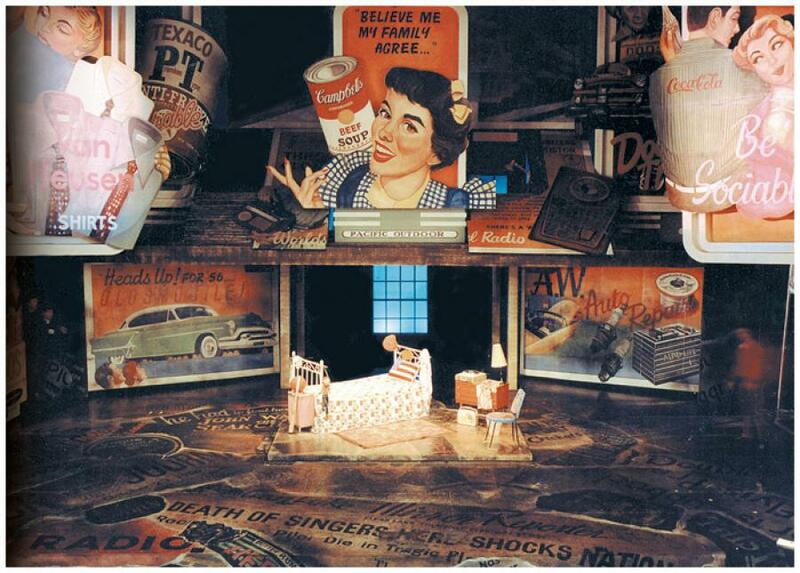 1950's America was a wash with advertising and billboards so I took that motif as my core design with the stage crammed with various billboards and giant glossy magazine ads that slid,lifted and pivoted out place to allow what ended up being 22 scene changes worth of scenery to enter the stage automated on a series of tracks hidden in the floor. Against all our expectations the show became a MASSIVE hit and we sold out solidly for 13 straight years in London. It wasn't long before I was re designing the show in Australia, Germany, South Africa, Sweden and 8 other countries. 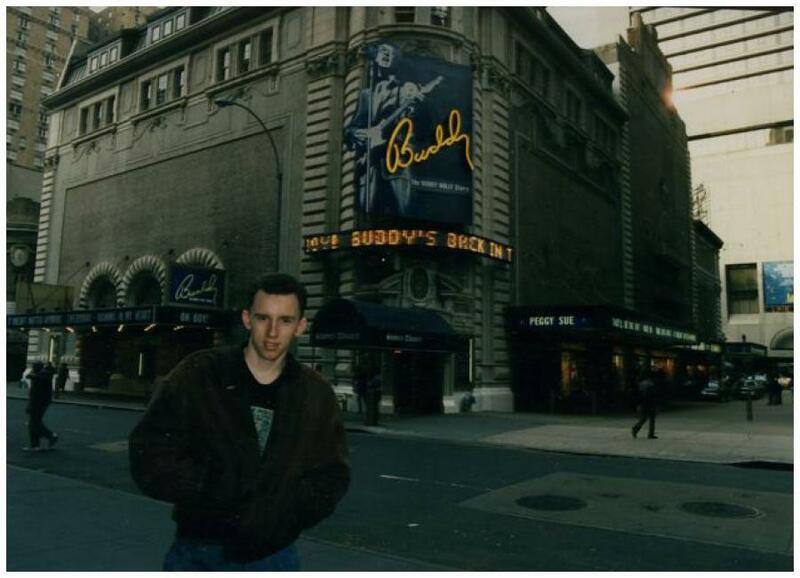 In 1990 at the age of 23 I found myself designing the show at the Shubert theater on Broadway in New York, I had only left college three years previous and there where several times I had to pinch myself as I walked in to the stage door on the Shubert alley. In 2009 the show is again running in the west end and touring throughout the UK with new versions of the show opening in Sweden and South Africa and multiple versions opening throughout the states. When I struggled across that bridge with my giant portfolio twenty years ago I never dreamt that the show would become a vital part of my career, opening doors for me everywhere, creating financial stability for me in my twenties and STILL running in the 21st century. Thank you Buddy.